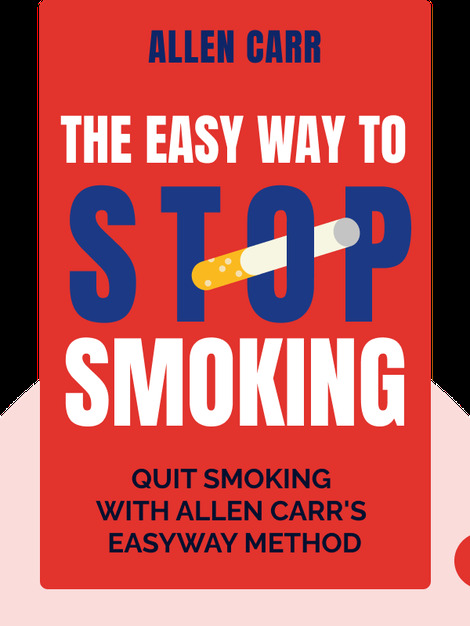 The Easy Way to Stop Smoking (1985, 2011) isn’t just a book about giving up cigarettes; it aims to put smoking in a completely new light. Smoking is no habit and nicotine no hard drug; smoking is an addiction, but one that can be overcome with the right mindset. These blinks outline the necessary steps and address those questions that’ll arise on your journey to a life without cigarettes. 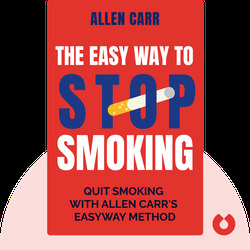 Allen Carr was a British author of self-help books that helped people overcome smoking and other dependencies, such as alcoholism. He himself quit after 33 years of chain-smoking, during which time he consumed around 100 cigarettes per day. After quitting, he publicized his method, the EASYWAY, and opened a chain of clinics to help people stop smoking with a money-back guarantee. He died in 2006 of lung cancer.